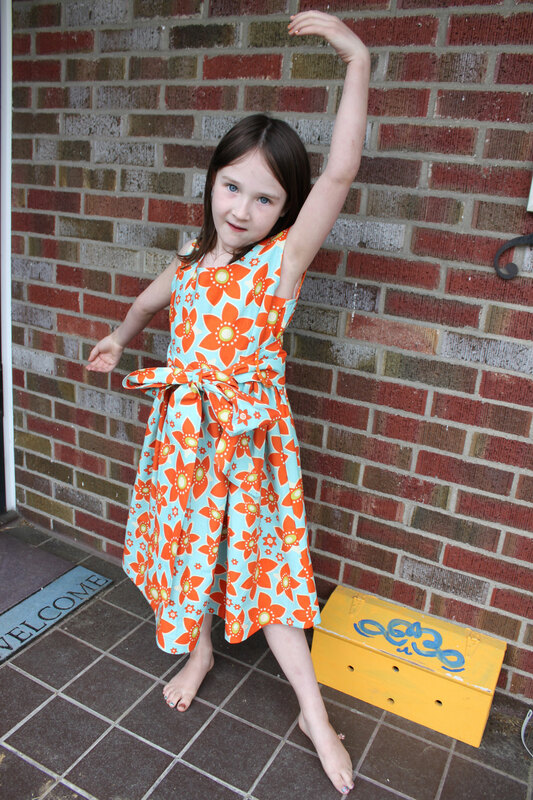 I used this Bella Blossom Aqua/Orange quilting fabric from Fabric.com. It’s a thick weight for apparel sewing, but I think it works well for a dress like this that wants to have a little fullness and substance. 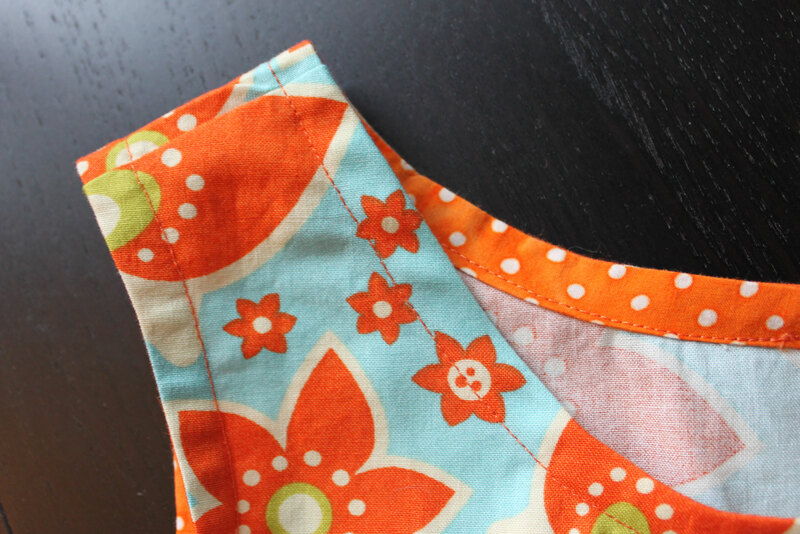 One of my favorite things about this pattern was the cute way of using bias tape to finish off the bodice. I used a contrasting orange and it’s sweet. 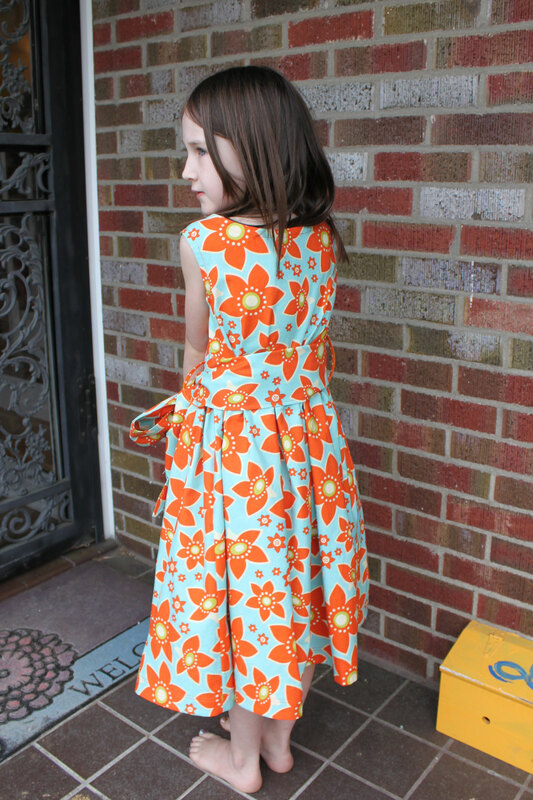 I finished off the skirt hem the same way, but with wider tape. I was going to use more of the contrast for the sash but ran out of fabric. Oops. I’ll definitely be making more patterns from this book. The sizing seemed to be right on and the instructions were clear. I especially like that the sizes go all the way up through bigger girls. If this new babe is a girl I’ll be able to get several years of “matching” big girl/little girl patterns from this book. We find out May 28!